However during these previous days we have been busy. 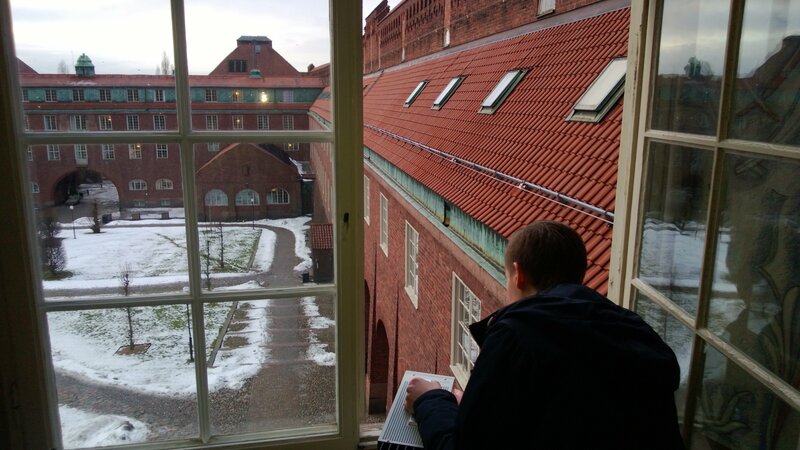 For example this Thursday Emil, Markus and me were performing a preliminary visibility test on the KTH. The test was simple, it consists on taking five pictures of the Transmitter Specific Unit‘s LEDs (held by Markus) from different distances. 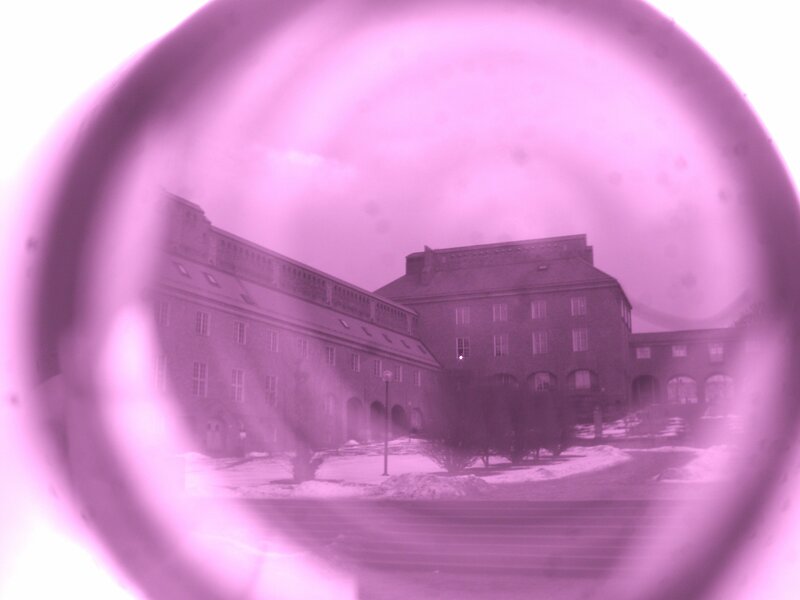 The Receiver Specific Unit were performed by Emil and myself who were moving with a laptop, the camera and an optical red filter in a, let’s say uncertain, configuration. The results are really good, with only one led we got nice pictures which are now being processed. Here is a sample, and as you can see, just in the middle the light is shining! 100m away…. One day after that, on Friday we had another rehearsal session, our slides looked done, our nerves were calm but now we have a lot of new work, ideas for improving the presentation, tips and general feedback from a lot of people as our supervisors, some partners from previous REXUS teams and other people who helped us to improve our presentations. Thanks all you for your valuable suggestions, whit them we will have a good presentation!